People born specifically on the 9th of December are imagined to be intuitive and imaginative with a quick wit and the typical Sagittarian philosophical fondness of improvement. The ruling astrological planet for this particular day is Mars gracing you with a strong will, high ideals, impulsiveness and a broad mind. If you have this birthday your hard working, fairly patient and persevering temperament usually possesses a humanitarian yet idealized viewpoint. Rather selfless, fearless and dedicated you tend to have an avid intolerance of injustice or discrimination. Seemingly confident and emotionally balanced you can also be a tad restless and quite easily distracted as you seem to crave and need plenty of variety and stimulation. 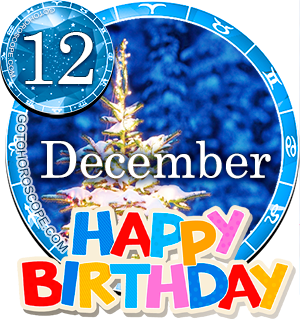 Individuals with a December the ninth birthday are naturally warm, caring, sociable and generous with an independent streak and a fervent approach to everything. Your energetic wandering spirit is ordinarily very optimistic and highly likely to really enjoy any sort of challenge. Any career involving regular travel will usually be considered a popular job choice to a person born on the ninth of December. Your clever, talkative and enthusiastic disposition makes you also ideally suited to a profession as a teacher, guide or instructor. Your keenness and yearning to improve things will always steer you towards a worthwhile productive and enjoyable occupation. With finances you try your best to be sensible but you love to spend and may have some difficulty keeping track of your incomings and outgoings. As you mature you will normally learn to gain better control of your personal budgeting and even manage to save a little. For a Sagittarius, the person born on the ninth day of December is typically someone who has a somewhat casual attitude regarding love and romance. A bit of a flirt you are not usually in a rush to find a soul mate as you like to have a good time, so you could remain single longer than other zodiac Archers. You will often grow much more serious about a secure loving relationship when you are older or you become a parent. You are mostly self sufficient but also incredibly supportive and forgiving of a partner's faults. However you appear to regularly require some space and time for quiet reflection. Although not overly demonstrative you will truly value intimate togetherness in a long term love union but still have the likelihood to restrict affection to the bedroom. You can be sometimes a little unintentionally tactless to a loved one and will frequently insist on living in a tidy organized home environment. Ill health experienced by those born on December 9th is unusual due to your usual positive frame of mind and partiality for exercise. In spite of this you could be prone to muscle strains if you succumb to your tendency to push your body too far. It is rare for you to let any anger or frustration build therefore it is uncommon for you to suffer from stress related or induced conditions. People born on this day are capable of utilizing common sense and intuition in order to try and stay as healthy as possible. If you are particularly worried about something regarding overall healthiness you will not hesitate to seek expert medical or dental advice. Your main strengths of character are seen in your combination of positive passionate enthusiasm, a wonderful imagination and sharp wittiness. These qualities and your patience, optimism, sociability and dislike of unfairness fill you full of positivity and make you a loyal, interesting and helpful companion. The personality weaknesses for those born on December 9th are often activated by boredom or unhappiness. These situations evoke negativity and your predicted tendencies for periodic restlessness and occasional idealism. Additional negative traits include pronenesses of being moodily outspoken or grumpy as well as likely to fantasize or exaggerate. Being born on the 9th of December means you are inclined to have plenty of goals but also a lack of motivation and discipline to accomplish them. You are gifted with positive thinking and adequate resilience to overcome disappointment but will need that initial push and follow up encouragement from others if you wish to achieve your main ambitions. Dreams will usually relate to your longings for and imagined scenes of variance and stimulating surroundings. As you were born on the ninth day of the month your date of birth is correspondingly assigned the same Root number of Nine. This numerical reference to your birthday has the keyword 'Seeker' referring to your deeply perceptive nature and spirited sense of adventure. In the Major Arcana Tarot deck the 9th card featuring the Hermit is associated with your birthday. This identifies your willful but thoughtful autonomy as well as your inclination for easy distraction. The lucky gemstone for December the ninth birthdays is believed to be a Bloodstone, to be worn for a promised sharpening of the instincts. Astrologically the power of the planet Jupiter is presumed to be the greatest influence on the probabilities of all Sagittarius personalities. The actual day you were born on, the ninth of December is governed by Mars's authority making these 2 specific planets accountable for the probability of your individuality. Your unselfish warmth, brave dedication and fairness allow you to do meaningful things throughout life. Your generosity, sincerity and energy are a fabulous mix of meritorious and fortunate characteristics. If you can conquer aversions to tedium, inactivity and upset you should be calmer and so able to think more clearly and carefully before you speak. A last thought for people born on December the 9th is to aim to keep your feet on the ground and dare to be ordinary once in a while. 100% accurate about a good friend of mine! This helps me understand him a little better. Very true about me also!! I'm always trying to improve me and my life and hate being bored! I (we) are blessed & highly flavored, to be born on this 9th day of December! So true. We rock! Love my dec 9 birthday! I AM LUCKY TO BE BORN ON THIS DAY.. I personally know 5 people in my small town with Dec 9 birthday. We are obviously the best!! Very Very True about me. another 9th dcmbrian here.hi my birthdaymate. All of it is so true...say, we niners rock!!! yeah !!! we rock !